(4) We would expect teacher and TA numbers to increase as the role grows. We have been advised the current Teacher to Student ratio has been decreased to 1:12 (May 2018). 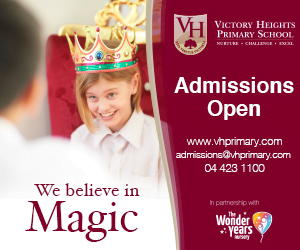 A school with significant potential. The degree to which it will ultimately deliver for children needs more time to review with certainty. 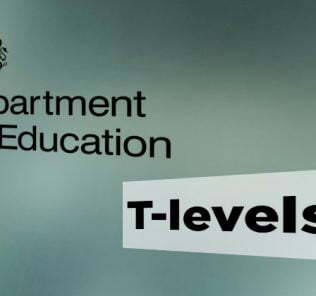 Good FS provision is let down by weaknesses in later Primary provision The capacity to deliver is in place - now it must be leveraged, and quickly, for children. 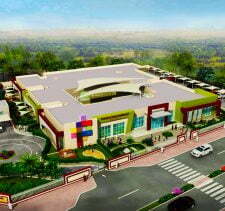 “Dovecote Green is a wonderful, safe community school based in Dubai Investment Park. Our school prides itself on developing the whole child. All of our pupils are taught strong values and ways in which to think for themselves. At Dovecote Green Primary School we use a large number of thinking tools that children can use in their learning, so that they can become resourceful independent learners. Our staff are very friendly and approachable. 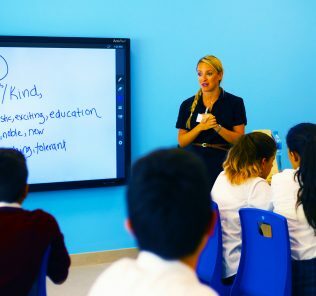 Dovecote Green Primary School is a primary, FS to Year 6 British, selective preparatory slipstream school for Repton Dubai offering an English National Curriculum based education for around 200 children aged between 3 and 11 years of age. The role is expected to expand to 300 children in 2018-19. 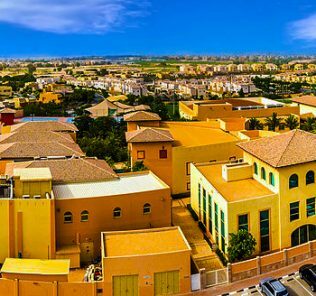 The school is situated within the Green Community, Dubai Investments Park One, and physically linked to the Green Community West residential area with direct access for the communities families to walk or cycle to school. 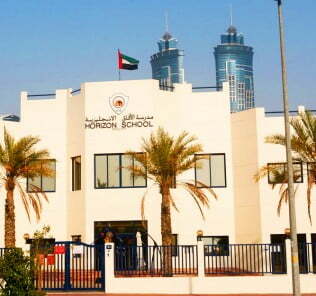 Today the school is marketed as part of the Study World Education group of educational institutions – best known for its partnership with the UK’s Heriot-Watt sister university in Dubai. Dovecote Green Primary School opened with surprisingly little fanfare in 2015. 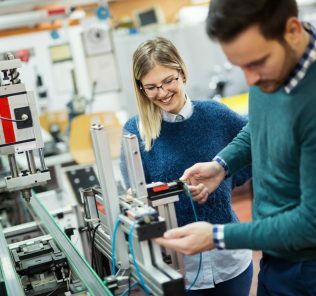 The result has been currently much smaller class sizes than anticipated in a school already committed to a high ratio of teacher:student provision. The current size of role, with around 200 children (this set against a capacity of around 560 children), offers a rare opportunity for parents and students to make an impact on the development of the school. For many parents, the intimate, community driven feel of the school will be a significant plus. A very different school …. Children who are likely to struggle with the pace and pressures of a curriculum designed ground-up to stretch children academically, both for entrance to Repton, but also with a view to their later IGCSE and stretching International Baccalaureate Diploma Programme [IB DP] study. “In line with the Inclusion Framework document launched in November 2017. Dovecote Green has now changed its admissions policy accordingly. All our assessments at Dovecote Green Primary School are now an ‘Assessment of Educational need’. Every effort to accept all pupils, including ‘students with determination’ is made. Further, when Dovecote Green Primary School first launched, and partly because of its then ownership, the school focused closely firmly on assuring children would pass the entrance test to Repton Dubai for Year 7 entry, or by broad equivalence the 11+ Common Entrance for entry to UK independents. 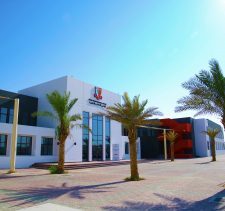 Dovecote Green Primary School, then, set itself apart by providing the lowest-cost direct route to Repton available in the UAE. Under new ownership this was no longer the case. However, fees have remained low for a school aiming for Outstanding School status. More importantly for parents, we can confirm that, as of May 2018, Dovecote Green Primary School has now again introduced a formal partnership with Repton School Dubai. This will see the school working together to further develop the academic progress of children at Dovecote Green Primary School. 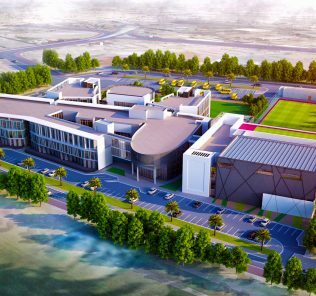 Repton School Dubai, also fully inclusive, is extremely impressive – and we believe the impacts of this partnership on Dovecote Green Primary School will be significant. 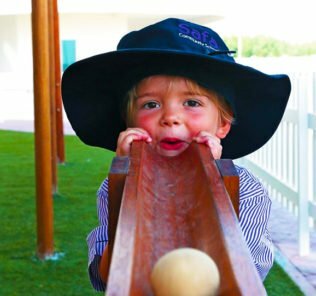 Our review of Repton School Dubai can be found here. 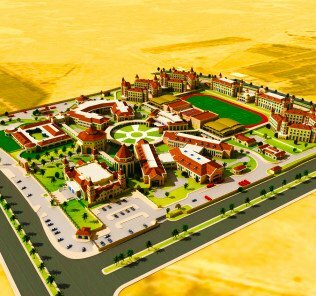 What is not yet clear is whether this new formal partnership will again open links for Dovecote Children to secure guaranteed entry to Repton School Dubai. If this does evolve – Dovecote Green will again be able to set itself apart as a low-cost rote to Repton – with children sharing the best in class teaching practice of Repton across their early-years and primary education. Interestingly, Dovecote is one of few schools to place “a framework of clear discipline” at the forefront of their statement of aims and values, something confirmed in the WhichSchoolAdvisor.com Official Q&A where the school emphasises its “robust” discipline policy. This is not currently publicly published by the school, but is available on request. 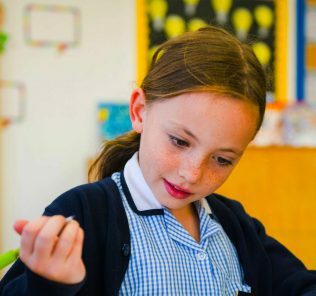 Academically, Dovecote Green points to an overarching concern to develop each child’s core expertise in English/literacy and Mathematics/numeracy, this a core of the curriculum across Foundation, Key Stage 1 and Key Stage 2 phases. Impressively, however, this is developed by leveraging and weaving numeracy and literacy across every aspect of the curriculum, including play at younger ages and developed links between lesson, formal prep and co-curricular activities. Nor is the traditional concentration on the “three Rs” (Reading, Writing and Arithmetic) a fall back on traditional learning – the school provides all children with access to an iPad to give core skills context – and broader enrichment is designed to bring the curriculum to life. 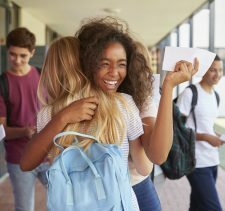 The emphasis is very much on the whole child, but one rooted in getting children to levels in the curriculum core in advance of expected levels for their peer groups. The approach is described by Dovecote as one of a “thinking school” in which children learn independence of thought and action within a broader context of self-discipline, responsibility and reason. Whilst it is early days, we particularly like the expressed aspiration of the school to be a community hub, this focused on sharing its sporting facilities with the broader community (there is a footpath linking the school to Green Community West on its doorstep) after school. 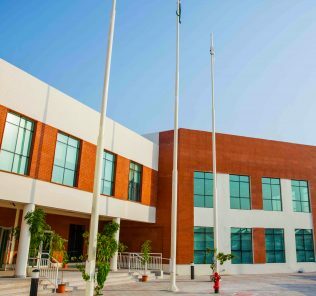 We would, however, like the school to go further in developing scholarship and bursary provision, a feature called for both by the KHDA and HH Sheikh Mohammed Bin Rashid Al Maktoum, with an eye the best global standards of Tier 1 provision and broadening the mix of role within the school to the benefit of all students. The school has now (2017-18) secured an Acceptable, with Weak and Good features, accreditation by the KHDA. This grading is below the “Good” rating expected by the KHDA of all schools operating in Dubai. The rating has proved a severe disappointment to Dovecote Green and it would argue that new schools needs more time to bed-in to be fairly assessed. Our view is that it is early days to give an unequivocal recommendation of the school, notwithstanding its ambition. In Mathematics, the progress made by children at Primary Phase is not consistent and children are making low levels of progress. This is a serious weakness. In English, the progress made by children at Primary phase, is held back by the variable quality of teaching. Again, this is a serious weakness. In Science, as general across the curriculum, the engagement of each child with technology is limited. Primary phase support of children with SEND is not implemented effectively and the Inclusion team is not properly supported by school management or governance. This is a serious weakness and reflects poorly on the school’s treatment of its most vulnerable students. School leaders are under-resourced to deliver effectively, this lack of proper resourcing by school governance a significant weakness of the school – and one responsible in major part for holding Dovecote Green Primary School back from meeting the needs of all children effectively. There is an excellent capacity to improve. School leadership has put in place the spectrum of mechanisms required for the school to achieve highly in future years. Foundation Stage learning and whole child development is good – with a strong capacity to deliver at a very high level in future years. The progress made by children from starting points at FS phase is very good. Parents, in interpreting and understanding KHDA reports should focus on the progress made by children as a key indicator (and arguably more important than attainment) in appreciating the efficacy and strengths of a school’s teaching and learning provision. 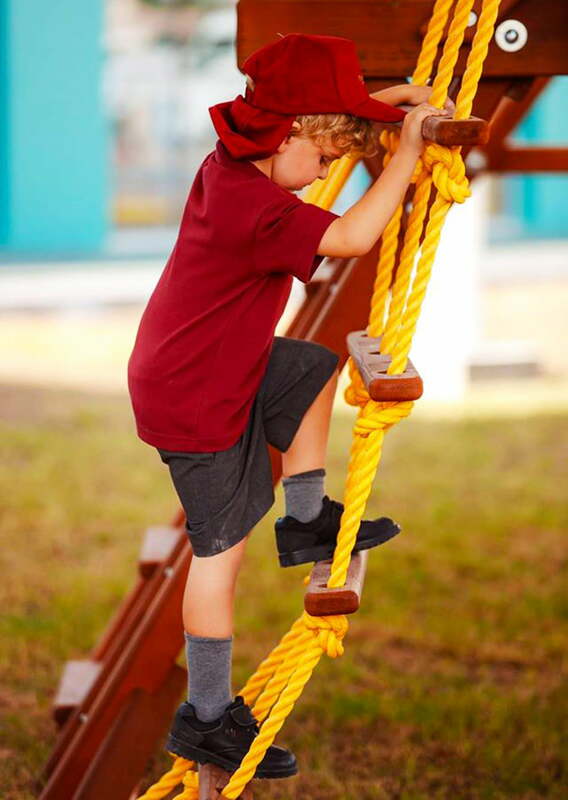 FS phase progress is arguably the most significant strength of Dovecote Green Primary School identified by the KHDA – and particularly so given its capacity to improve and deliver even more highly for children. 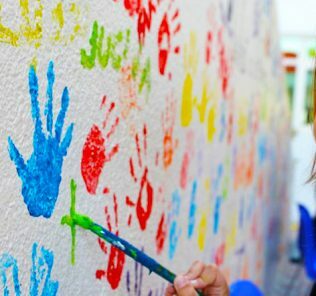 There are serious issues identified by the KHDA across Primary phase provision – but these do need to be balanced by parents, and set against the context of a clear capacity to improve equally stressed by KHDA inspectors. The future is bright, in our view, for Dovecote Green Primary School – it is, however, taking longer to get the school to where it needs to be, and should be by its own admission, than children, and their families, have every right to expect. 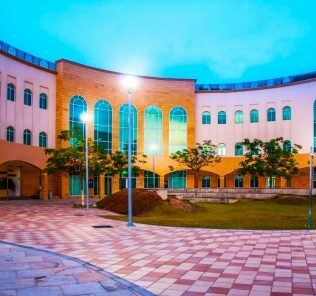 “The KHDA inspection identified many Good features of the school – and particularly that Phase one was classed by the KHDA as Good. Our phase 2 department, however, opened later than Phase 1. Years 1-6 had effectively only been running fully for one full term before inspection. The inspection team identified good systems in place, that now need time to run to show progress over time in that phase. Those systems are now facilitating accelerated progress of all pupils. We have worked extremely hard to identify each pupils starting point to give a clearer indication of progress over time. Being an Inclusive school can mean that the attainment levels of groups of pupils can be low. Our focus is to challenge all pupils to make good progress that will ensure that most pupils are at or above curriculum standards for their age group by the end of each Academic year. Our governing body has been developed and is now a much more strategic group that is embedded in the strategic vision of the school. Our slow start in phase 2 has been identified. The very positive and constructive inspection report has given us clear guidance to move in to the Good bracket next year. In order to achieve this we are aiming for all performance indicators up at least one level. We like Dovecote Green Primary School, notwithstanding its delivering on its creditable ambitions for children as a lower pace than families have the right to expect. 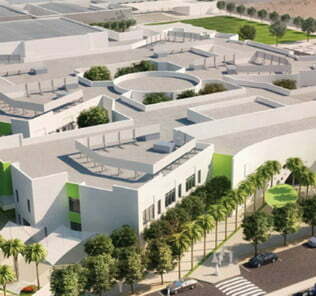 The fact that it delivers solidly for children at FS phases – and has the capacity to rapidly improve its provision for all children, gives strong justification for its not being discounted by parents despite its poor grading by the KHDA. This is, after all, still a relatively new school. As with all schools, the fit for any child cannot be decided by a review. Dovecote Green Primary School is, in our view, one that deserves visiting. 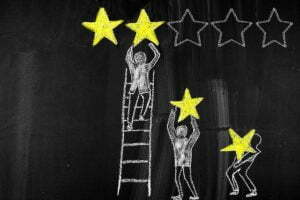 However, it needs to up its game – and by the time of the next inspection, if it achieves less than a good rating, the infancy of the school will no longer be able to provide fair rebuttal to identified weaknesses in its provision for children. We expect Dovecote Green to meet Good School, with Very Good and Outstanding Features, accreditation by the time of its next inspection. The link with Repton School Dubai is being rebuilt ground-up, Governance is being significantly strengthened, the capacity to improve is a major strength of the school – and Dovecote Green Primary School Headmaster, Patrick Affley, in our discussions with him, is clearly on a mission to deliver a top tier education for Dovecote children – and quickly. He, and the school’s new owners, will not want to – cannot afford to – let them down. 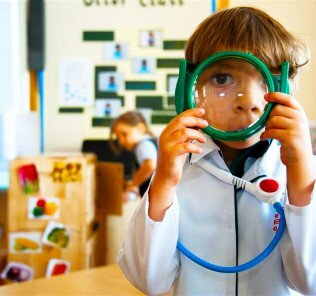 Are you looking for a place for your child, and want help from our school consultants? If so, click on the link below, and we will forward your request for information to the school or schools of the same type that we are confident have availability. This is a free service for our readers from our sister site WhichSchoolAdvisor. The academic and administration staff are excellent. Such a lovely community school. We chose Dovecote over 4 other school we looked at for our daughter. The best decision we have made since coming to Dubai. She is so happy and cant wait to go to school each day.